Old Navy has marked hundreds of kid and baby styles down by 50% online. Old Navy‘s hosting a pretty sweet buy-more-save-more event right now. Take 30% off any order, 35% off $100 or more, or 40% off $125 or more with coupon code EARLYGIFT through tomorrow. Lots of stuff is on sale, too. This girls’ moto jacket (which I really wish came in my size) is $18 before coupon. An extra 30% off makes it just $12.60. Old Navy’s released a bit of info on their online sale for Black Friday. The entire site will be up to 50% off. Head on over to the Old Navy Facebook page to claim an offer valid for $15 off your in-store purchase of $50 or more, valid today 11/22 and tomorrow 11/23 only. This coupon should make for a great deal when paired with the 40% off Outerwear sale that I posted about here! Keep in mind that the coupon excludes Frost Free Jacket purchases made on 11/23 only. It’s starting to get chilly outside and if you could use a new sweater, you may want to head over to OldNavy.com where they are having a sweater sale with prices starting at just $15! Even sweeter, you can save an additional 25% off your purchase when you use the code ONTAKE25 at checkout. And remember, you can score FREE shipping if you spend at least $50 online (before discounts! ); otherwise pay a flat rate of $7 (or you can snag FREE shipping when you buy at least one item from Piperlime.com). *Be sure to look around as I was actually able to find sweaters priced as low as $10 (before the promo code!). *After the code ONTAKE25 only $7.50! Wowie! Today, 10/23 only, Old Navy is offering up ALL Baby Costumes – up to size 5T for only $5 (regularly $22.94 – $24.94!) – in store ONLY. Plus, through 10/27 All Halloween Items are 50% Off! Be sure to get there early for the best selection! Head over to the Old Navy Facebook page for more information. *$5 Halloween costumes valid 10/23 only. 50% off Halloween merchandise excludes $5 Halloween costumes on 10/23 only. While Supplies last. Wow! If you’ll be out and about shopping tomorrow, you may want to swing by your local Old Navy! Hurry on over to the Old Navy Facebook page to claim an offer valid for 50% off ANY single item (excludes Fruit of the Loom), valid in-store on 10/5 only. Use this coupon on a clearance item to score a great deal! Wow – we’re wondering if you can also stack this up with the 30% off deal when you use your GAP or OLD NAVY card. Report back and let us know tomorrow! *Offer valid 10/05/2013, at Old Navy stores in the US (including Puerto Rico) only. Not valid at Oldnavy.com. Discount applies to merchandise only, not to GiftCards, packaging, applicable taxes or shipping & handling charges. Not valid on Fruit of the Loom® or charitable merchandise. Coupon is good for one-time use only and must be surrendered at time of purchase. Limit one coupon per customer, per day. Today only, October 2nd, Old Navy is offering up all Basic Short-Sleeve Tees for adults for just $5, Kids & Baby Jeans for $8, and Adult Fleece Crewnecks for just $10! Note that these offers are available in-store only while supplies last. Check out the Old Navy Facebook page for more information. Plus, don’t forget that through October 16th, you can earn Old Navy Super Cash with your qualifying purchase. You’ll earn $10 when you spend $25, $20 when you spend $50, and $30 when you spend $75. You can redeem your Super Cash in-stores and online starting 10/24. There are a lot of Fall stuff on sale for both boys, girls & babies. Happy Shopping! Old Navy Baby and Maternity Sale: Get an Additional 15% Off! The Old Navy Baby Sale just got a little bit sweeter! Not only will you automatically get 30% off all baby clothes, now you can get an additional 15% off everything with the code ONEXTRA15. Just head here to check everything out. Baby dresses that were $7 are now $5.95! Bodysuits that were $6 are now $5.10! Pants are now only $4.73! 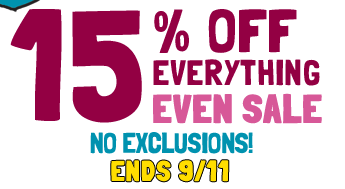 You can also get an additional 15% off the Old Navy Maternity Sale which already gives you 25% off! You can get tanks and tees for under $10 now! Long sleeved shirts for fall are only $10.80 and there are jeans, pants and skirts for under $20. You’ll find all the maternity deals here. Shipping is free with a $50 purchase and all orders are eligible for free returns. This sale is online only and ends September 11. If you’re planning to do some shopping this weekend, you may want to take advantage of this discount offer! Head on over to the Old Navy Facebook page and click on the “Get Offer” button to score a coupon via email valid for $10 off any $50 in-store purchase valid 9/7-9/8. Note that you will receive this discount offer via email and you can either print the email or use your mobile device to show at checkout (coupon excludes gift card purchases and charitable merchandise).